Snyper is a compact, lightweight and cost-efficient drone that is designed to be expendable. «The Snyper is meant to be a target and it is something we would always want to use live fire with», said Chief Petty Officer, 2nd Class Gordon Dolbec, who has been testing the drone. «It only makes sense to use live ammunition». 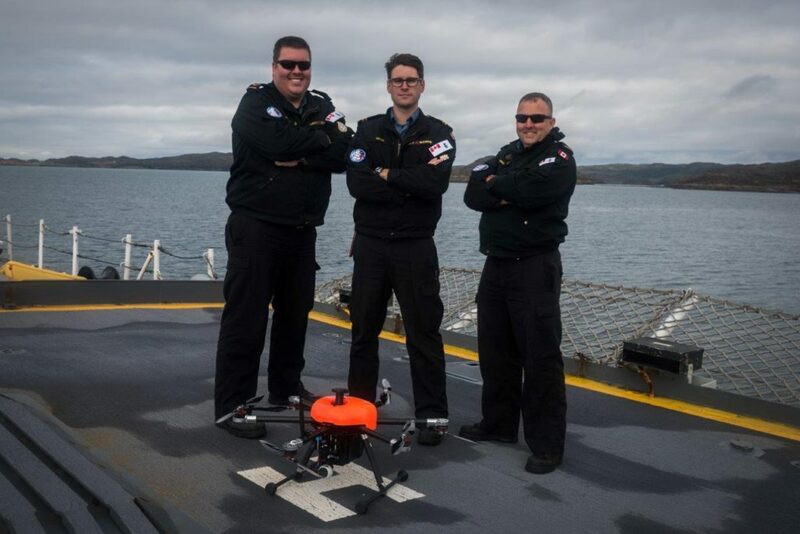 «Snyper is going to allow the RCN to develop the foundations for moving forward with unmanned aerial systems, training operators, developing all of our Standard Operation Procedures so that we can eventually reach the Royal Canadian Navy ISTAR Unmanned Aerial System program», said Lieutenant-Commander Greg Atkinson. This new payload provides video and imagery capability that was once only feasible through use of a helicopter, at a fraction of the cost. Recently HMCS Charlottetown (FFH-339) used Snyper in support of missile exercise (MISSILEX) as an imaging camera that was flown from the flight deck. Snyper was more recently deployed in the Arctic on Operation Nanook (Op NANOOK) and took some stunning photos.